Universities and towns around the world are using RFID tags to combat bicycle theft. At Ohio State University, students, faculty and staff can have their bikes tagged free of charge in the Bug-A-Bike program. Public transit riders in the Seattle area will soon be able to pay for buses, ferries, and trains with a single RFID card. They call it the "ORCA Card" which stands for "One Regional Card for All." And if you've ever been to the Pacific Northwest, you'll be quick to pick up on the fact that the ORCA name also pays homage to the region's beloved orca whales. Taking transit ticketing technology one step further, South Korea’s Seoul subway system is introducing the world’s first RFID based program for single journey reusable ticketing. The new smart card system will serve a city of over 10 million people and replace paper tickets for passengers that were previously paying with cash. For the first time, organizers of the World Cup issued RFID cards in efforts to increase security. 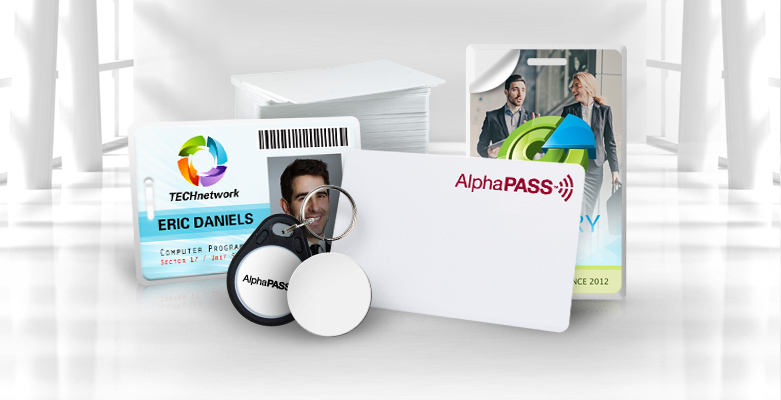 Evolis ID card printers were used at checkpoints to create cards for credentialed guests including coaches, athletes, members of the press and VIP attendees. Card readers at each of the event’s 16 checkpoints were then used to determine which guests had clearance to enter certain areas of the event. Prior to implementing the new technology, World Cup organizers had relied on a system of colored badges, which indicated different levels of clearance. Zebra ID card printers will be used by Vail Resorts to produce RFID-enabled ski and snowboard passes for the coming season. They’re calling it an “easy-scan” system because the ski passes will provide instant authentication of lift pass holders when they arrive at the slopes. Zebra P330i card printers will print and encode the RFID cards. At the U.S. border entry point in Nogales, Arizona, RFID readers are being installed to read new travel documents that will be required for entry. One of those documents is the recently produced U.S. Passport Card, which features an RFID tag. The tag can be read wirelessly by the RFID readers at distances of up to 30 feet. To protect privacy, each passport card will contain a reference number that must first be matched against the Homeland Security Department’s secure database before the cardholder’s personal information can be obtained. Starting this fall, French public transportation company SNCF plans on using RFID-enabled smart cards with USB connectivity. The public transit cards, which will be used to make fare payments, can be plugged into a PC or laptop allowing users to connect to the SNCF website and add funds to their cards online. Zona Systems, a Seattle-based company, has developed an RFID-based system that aims to enhance security for children making bus trips to and from school. Using RFID technology, the new ZPass system makes it possible to identify when a student boards or exits the school bus. Each student is issued a unique RFID card. A special reader on the bus recognizes the card, even if it’s kept in the student’s wallet or backpack. No waiving or swiping of the card is required. The system provides parents and school officials with peace of mind by tracking each child’s daily journey.